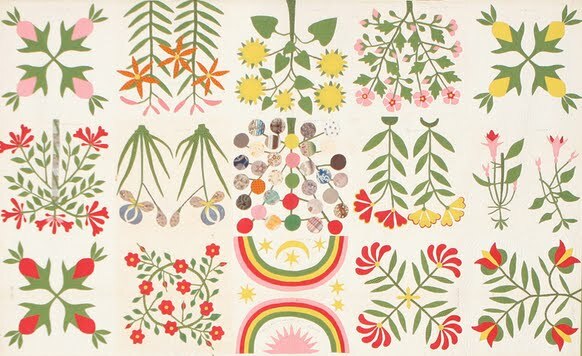 I started working on Kim McLean’s Flower Garden quilt back in 2012. You can see my method and progress here. The top has been completed for quite a while waiting in the to be quilted closet along with all it’s friends. I don’t claim to be a professional quilter and I only quilt my own quilts. Some days when I go to the machine I have no idea what I am going to do next, so some blocks look better than others. Your quilting is pretty, and the quilt is gorgeous!! It is also finished, which should make you very happy!! Nice Job!! It looks glorious! 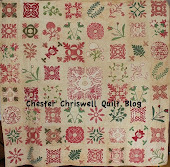 A beautiful, beautiful finish :0) I've been thinking about this pattern as a possibility for my next applique project. I just love those happy big flowers. What a wonderful finish. The quilting looks very good. I wish I was good at machine quilting. 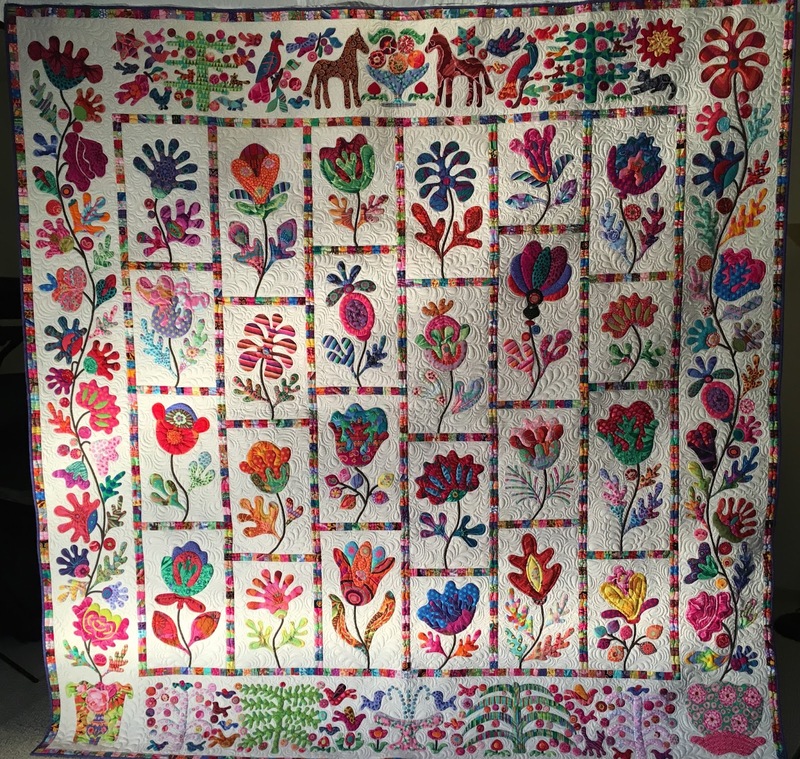 Well done on finishing and quilting your Flower Garden quilt Nancy, having finished and quilted one myself I know what a marvellous achievement it is, and yes that quilt is one big quilt. So beautiful! Congratulations and enjoy it! It looks like a professional quilted it to me!! Love it! I like how you put some pretty feathers in there, too, among the swirls! Great job and a gorgeous quilt! WOW...you can quilt my quilt anytime. 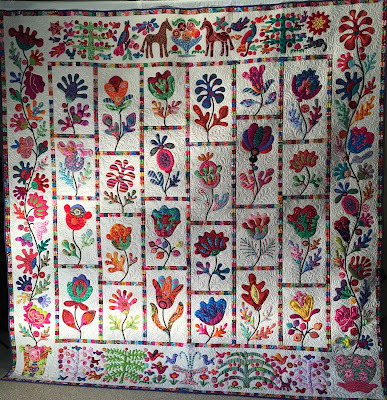 It is stunning and such a happy quilt. What is next in line? What a masterpiece. 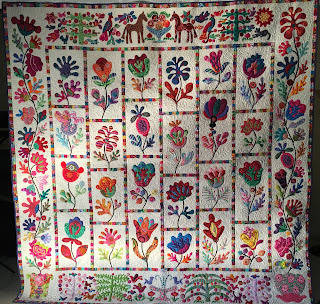 Your colors and fabric choices are perfect and the quilting adds to the beauty of this quilt. It was a long time to get it finished but now you can really enjoy it. Kim McLean,s patterns are not for a novice. Your applique skills are excellent. Simply stunning. What an accomplishment. It really is gorgeous. Yay for you!! Nancy, you did a fantastic job on this quilt. What a work of art, and I usually do not like the loud colors. Others have said it before me, but "Stunning" is what immediately came to mind. 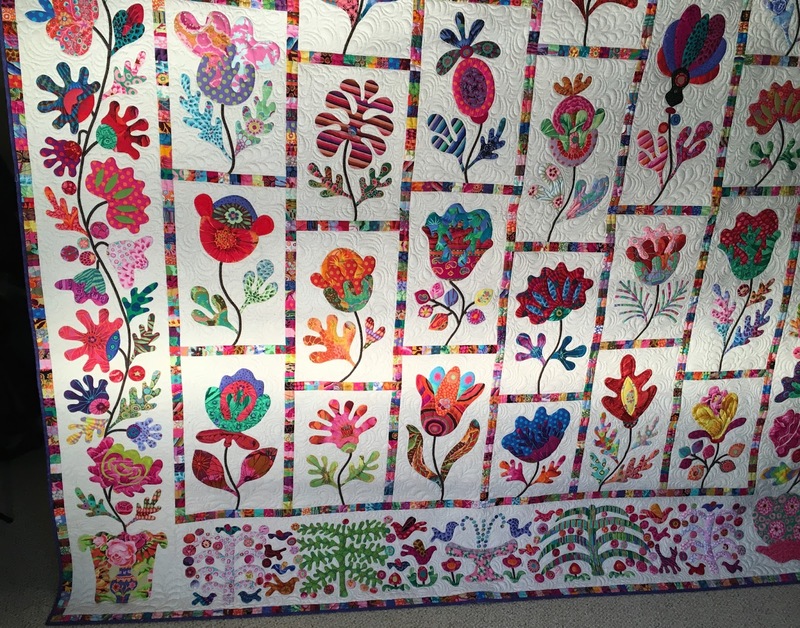 Nothing to apologize for in the quilting. You have done a marvelous job!! 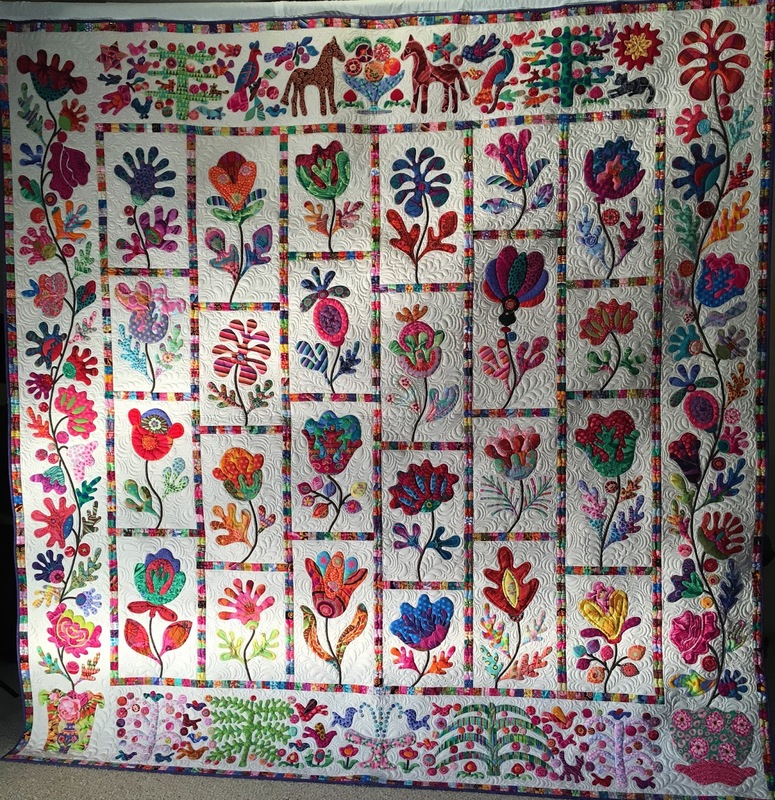 This is a beautiful quilt! I love the pictorial borders!! Your quilting looks great. Wow! All I can really say is Wow! This is just stunning. I am in awe that you quilted it yourself - you are so very talented! Wonderful, wonderful job!!! Truly a piece of art Nancy. All I can say is Wow, Wow, Wow. Congratulations Nancy - a huge achievement!! 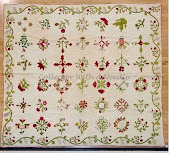 The border of this pattern is so delightful but I imagine it was quite an applique challenge! Wonderful, fabulous finish! Great quilt!! Congratulations Nancy! It looks wonderful, a beautiful finish. Vibrant wonderful color, now with quilty texture. 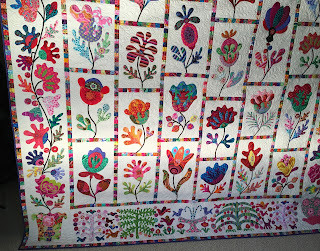 Its all terrific and the quilting is a perfect compliment to the piecing, great job! Each block is its own work of art....of course, I would expect no less from you!!! !